4 Clips - what will you hold with them?? 1 Corner cluster of flowers - guess where they'd fit? 1 Flower cluster - the arranging is all done for you! DO YOU WANT TO SEE THE ENTIRE FQB COLLECTION? 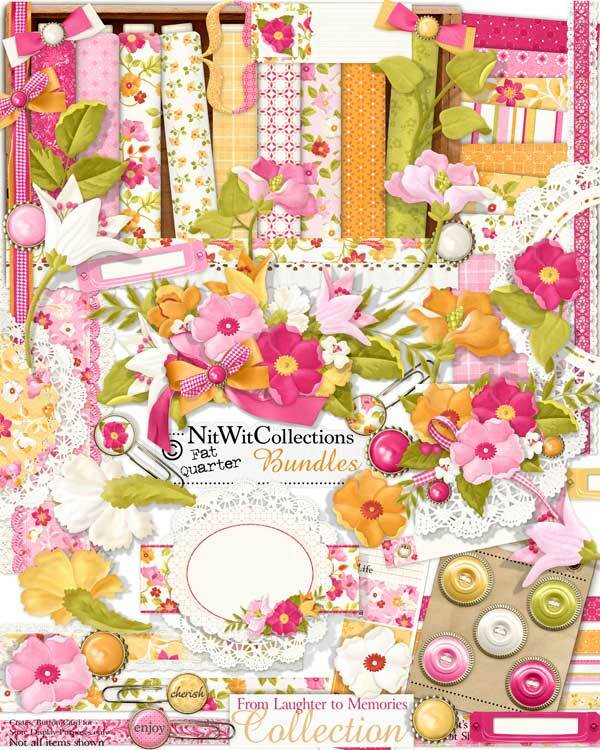 CHECK OUT OUR NITWIT COLLECTIONS™ You Tube VIDEO OF THIS KIT!